Exotic serene locales and a rich tradition to boast of are all Kottayam offers its tourists. Its proximity to the Vembanad Lake, the largest lake on the Kerala backwaters, makes Kottayam all the alluring a tourist destination. 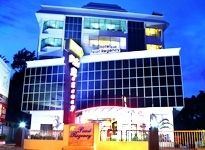 The heritage resorts in Kottayam offer traditional Keralian hospitality far from the madding crowd. 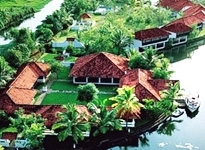 The Lake Village Heritage Resort- the Lake Village Heritage Resort offers luxurious accommodation in traditional Kerala homes close to the Vembanad Lake. The resort offers accommodation in independent cottages that are equipped to cater to all the needs of the guests.